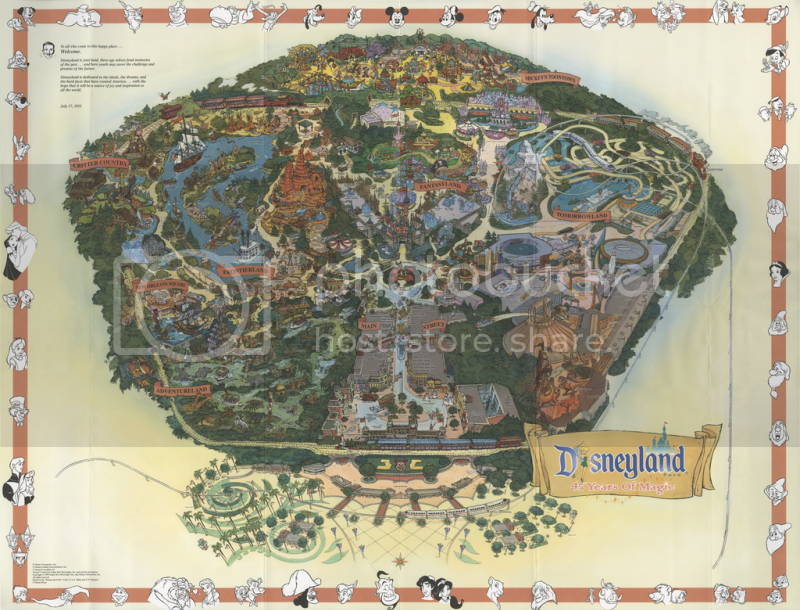 Description: This is a map of Walt Disney's original Disneyland Resort during its 45th anniversary in 2000. 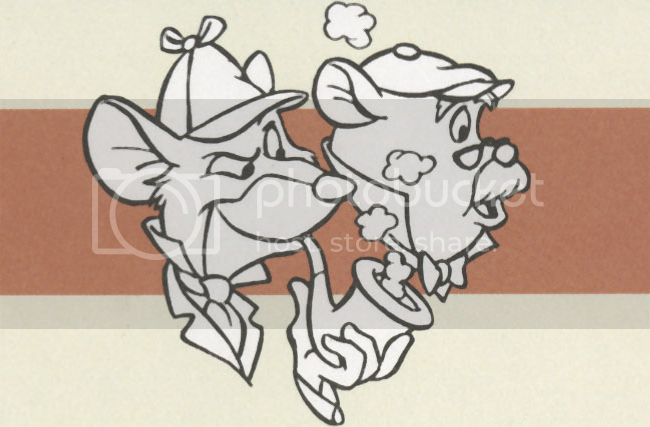 Basil and Dawson appear amongst the other characters in the map's border. Where can it be purchased: This type of souvenir map is still sold in Disneyland theme parks, but the older years are no longer available. They appear at random at online places such as eBay. These photos were obtained from the site, Wedding Photography Design at their blog discussion, Disneyland's Vintage Maps and the Kodak Camera Tour in the 1950's. The photo also came from the Flickr account of Wishbook. For more information, check out, Disneyland Maps.